A Famine of Three or Seven Years? Was David offered three years of famine or seven years of famine? After sinning by performing a census of Israel and Judah, was David offered three years of famine or seven years of famine? Michael Belknap, AiG–U.S., explains. After David performed a census of Israel and Judah, the Lord gave David the opportunity to choose one of three possible judgments that would befall his nation. However, at first glance, the two passages that record these options seem to contradict each other. At first glance, it does appear that the above verses contain an inconsistency: one passage offers a choice of three years famine, while the other seemingly offers seven years of famine. Regarding 2 Samuel 24:13 , many English translations follow the Septuagint by using “three” in place of “seven.” If this were the original reading, then we would have an example of a copyist error. It is possible for copyist errors to have crept into some documents, and since the doctrine of inerrancy only applies to the original manuscripts, such errors would have no impact on this crucial doctrine. 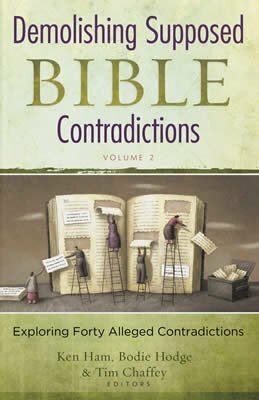 Not surprisingly, some critics of biblical authority present this apparent incongruity as evidence confirming their pre-committed disbelief in the inerrancy and divine inspiration of Scripture. Others cite this to justify their claim that modern copies of the biblical texts insufficiently represent the original manuscripts. In reality, these accusations of corruption are unwarranted, and there are at least a couple of plausible solutions that do not appeal to a copyist error. So according to the text, numbering the people was nearly a year-long process, and there is no clear indication that God had suspended the initial three-year famine prior to the events in chapter 24. Now if God had combined three additional years of famine ( 1 Chronicles 21:12 ) with the three years of initial famine, and a possible intervening year while the census was conducted, the resulting overall famine would have totaled about seven years ( 2 Samuel 24:13 ). Some Christians have proposed another solution. They claim that these two passages describe the prophet Gad confronting David on two different occasions. According to this view, the “seven year” proposal was initially given four years prior to the “three year” proposal. Thus, the prophet would have confronted David and given him a few years to mull over his decision. During that time, David had repented of his actions so God reduced the time of punishment—something God definitely has the authority to do. A problem with this view is that if God reduced the seven years to three years because of David’s repentance, then why didn’t He reduce the length of the other options as well? So while this solution may seem less likely, it still provides another reasonable explanation. The important thing to realize is that regardless of which solution we choose, the result is the same. The accusation of contradiction evaporates—all without declaring the text in error. In conclusion, these Scriptures not only are compatible, but also work together to provide additional details on this particular event.